Follow these steps to create an interactive credential. Your account must have the Owner role in order for the interactive credential creation to work. If your account does not have the Owner role, you must use the app-based credential option instead of the interactive option. 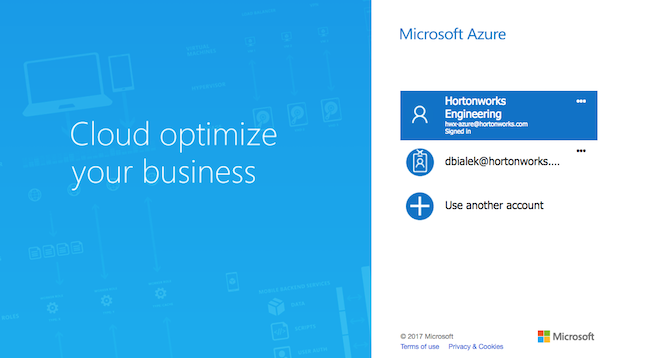 Under Cloud provider, select “Microsoft Azure”. 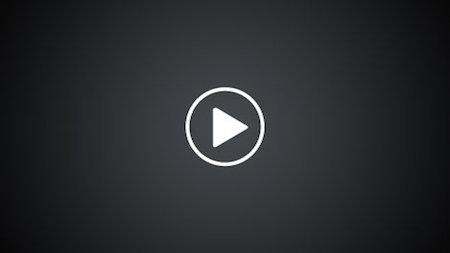 Subscription Id Copy and paste the Subscription ID from your Subscriptions. Tenant Id Copy and paste your Directory ID from your Active Directory > Properties. “Use existing Contributor role” (default): If you select this option, Cloudbreak will use the Contributor role to create resources. This requires no further input. “Reuse existing custom role”: If you select this option and enter the name of an existing role, Cloudbreak will use this role to create resources. “Let Cloudbreak create a custom role”: If you select this option and enter a name for the new role, the role will be created. When choosing role name, make sure that there is no existing role with the name chosen. 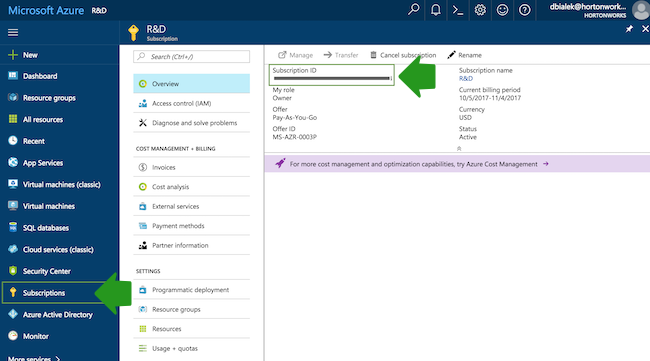 For information on creating custom roles, refer to Azure documentation. 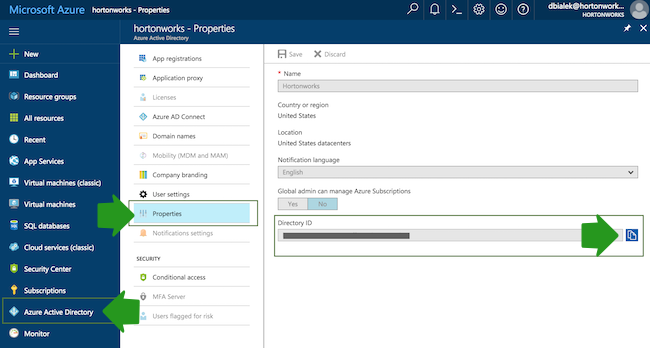 If using a custom role, use the following role definition, which includes the minimum necessary action set for Cloudbreak to be able to manage clusters. After providing the parameters, click Interactive Login. 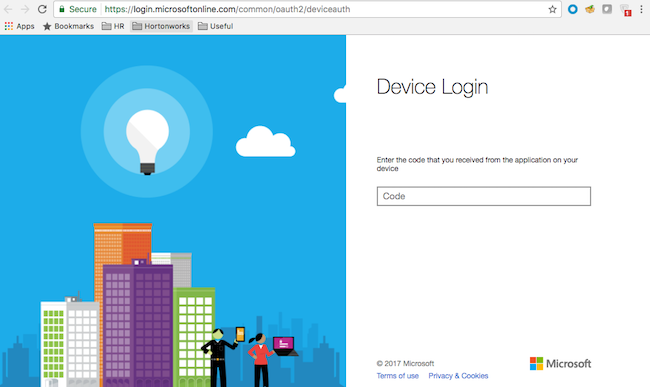 Next, paste the code in field on the Device login page and click Continue. A confirmation page will appear, confirming that you have signed in to the Microsoft Azure Cross-platform Command Line Interface application on your device. You may now close this window.